San Andres Sunset and Surface Casing features Robinson rig 6 drilling a shallow directional well in the San Andres near Seminole Texas. 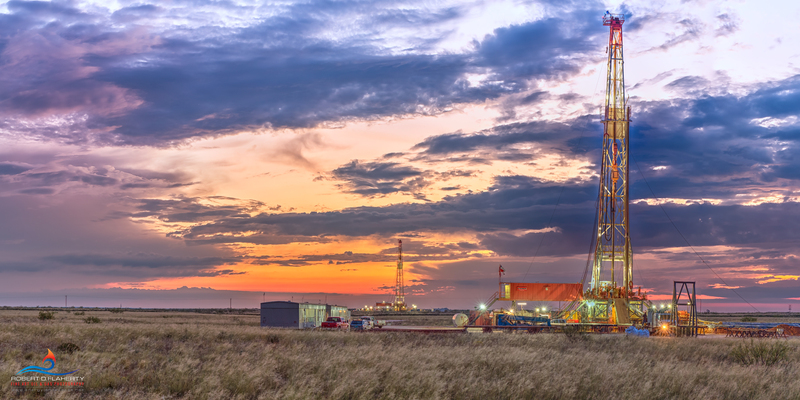 The rig is shown at sunset running surface casing while flanked by Robinson rig 3 several miles to the West. The image is a high resolution 2:1 panorama. Due to the lens and photographic process used, all areas of the panorama are perfectly focussed from near to far.